In the interest of full disclosure, you should know that our official Ethereum price forecast for 2017 was $400.00. We also predicted that ETH prices would later accelerate to $1,000.00 in 2018. 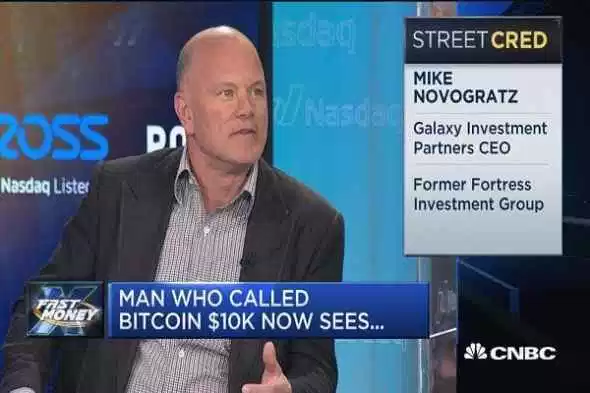 Michael Edward “Mike” Novogratz Novogratz has different ideas. As a hedge fund manager who cut his teeth at Fortress Investment Group, Novogratz has pedigree. He thinks that Ethereum is headed to $1,500.00, not simply $1,000.00. (See here). And to be honest, he might be right. We issued forecasts months and months ago, when Ethereum was down in the dumps. Other analysts accused me of excessive optimism at best, and downright delusion at worst. But it turns out that my sin was a lack of bullishness, not an excess of it. The truth is that crypto investment is growing much faster than I expected. The total market cap of all cryptocurrencies exceeded $343.0 billion when this article went to press. Few people, if any, expected it to reach that level before 2018. But enough excuses. A good analyst incorporates new information into their forecasts. As such, we are revising our Ethereum price forecast to reflect the rapid increase in cryptocurrency investment. Investors are trading an astonishing amount of Ethereum. The 24-hour gauge of trading volumes currently shows that $2.24 billion worth of ETH tokens changed hands. This reflects a 66.5% increase from yesterday’s trading activity. Where Are Investors Trading ETH Tokens? Some cryptocurrencies experience concentrated demand in one country or exchange. Ethereum is not one of those currencies. It enjoys a wide base of support, though there are a few exchanges that are frequently at the top of the pile. GDAX, Bitfinex, and Bithumb are often the leaders. Today, Bithumb took the top spot, accounting for 11.59% of total volume. Bitfinex and GDAX accounted for 10.79% and 7.25%, respectively. We are upgrading our Ethereum price forecast to $1,500.00 in 2018.